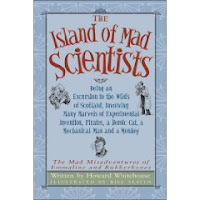 First up we'll start with Sherry (of Semicolon) herself who reviewed The Island of Mad Scientists earlier in the week. I was so intrigued by the sound of this book that I started tracking it down immediately. I'll let you know what I think of it once I get my hands on my own copy. I can't wait because it looks like great fun. It is the third book in a series though so I am planning to start at the very beginning of the saga with The Strictest School in the World. I have high hopes so hopefully they won't be dashed! The last one for this week comes from gautami tripathy. We do not share the same tastes in reading material as a general rule but she does pick interesting titles. I like hearing her thoughts about the books that she reads. This week she reviewed The Heretic's Daughter which talks about the Salem Witch Trials. A part of me has always been fascinated about those trials the interest of which goes beyond morbid curiosity. I'd like to know more about what motivated the people of the time to make such accusations and what drove them and motivated them to "clean out" society. Whichever side of the line you stand on, it IS an intriguing topic and this book falls in my, "Hmmm, I think I'd like to read that!" pile. We'll see where it goes. BTW, gautami tripathy also interviewed the author of The Heretic's Daughter if you'd like to learn more about it. What did you find this week? Anything fun? Wait wait -- stop tracking RIGHT now!! I have a review copy of that book. I had been meaning to ask you if you want it!! In fact, there's 3 in the series, and I have two of them (if not all three). I will send them post haste, because I also thought they looked interesting, but they didn't grab Amanda and I haven't been able to get to them. I would second Hugo Cabret and The Heretic's Daughter - both excellent! 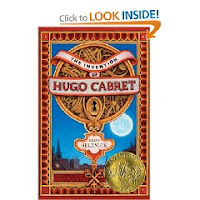 My almost-12-year-old daughter and 10-year-old son both adored Hugo. Now you have me thinking, because I seem to remember having bought Hugo Cabret a while back, but never getting to it. I will have to check my shelves and move it to my coming-up-next TBR pile (it's a funny kind of day when you realize you need to categorize your TBR piles!). And the Mad Scientist series looks very good - it's going on my TBR pile, too. Great list of reviews! I don't know that I'd call them "fun" but I started reading A Grief Sanctified (Packer/Baxter) and The Holy Way (Huston) and am VERY much enjoying them so far.